The Board of Trustees is advised and assisted by a Council of Elders composed of senior academics, writers, diplomats, physicians and businessmen who enjoy a broad range of expertise on the modern and contemporary history of Damascus. A distinguished career diplomat, judge, and cabinet minister, Abdullah al-Khani is the last of the Founding Fathers of the Syrian Republic. Born in Damascus in 1925 he studied law at the American University of Beirut (AUB) and Damascus University. Shortly before outbreak of the Palestine War, Khani joined the Syrian Presidential Palace, rising through its hierarchy to become secretary-general in the mid-1950s. He was director of protocol under President Adib al-Shishakli and bureau chief to Presidents Hashem al-Atasi and Shukri al-Quwatli. In 1958, he was a member of the Syrian delegation during the negotiations that led to creation of the United Arab Republic (UAR). Under President Gamal Abdul Nasser, Abdullah al-Khani was transferred to the Ministry of Foreign Affairs and posted in Brussels, London, Ankara, Madrid, and the UNESCO office in France. In 1969 he became secretary-general of the Syrian Foreign Ministry and in December 1972, Khani founded the Ministry of Tourism in Damascus. He served as its first minister until August 1976. 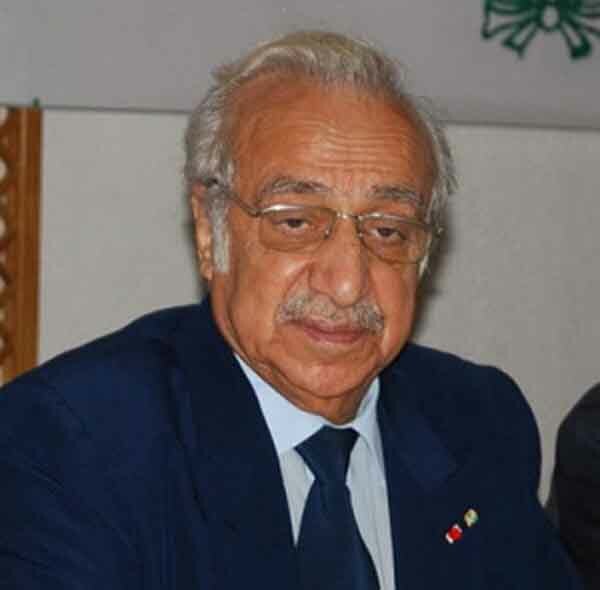 From 1978 to 1981, Abdullah al-Khani became ambassador to India and also served as Deputy President of the Anti-Discrimination and Protecting Minorities Committee at the United Nations in Geneva. 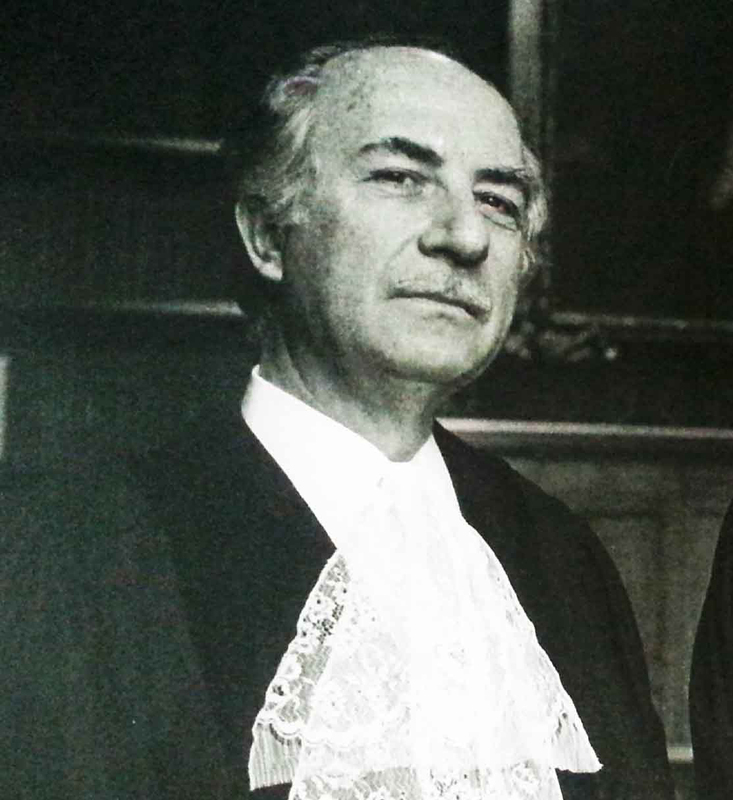 He resigned from the Foreign Ministry in 1981 to join the International Court of Justice in Holland, where he served until 1985. Khani became an international judge and a member of the constitutional court for Sarajevo in 1994. In 1996, he became an honorary member of the judiciary committee at the Olympics Games in Atlanta. 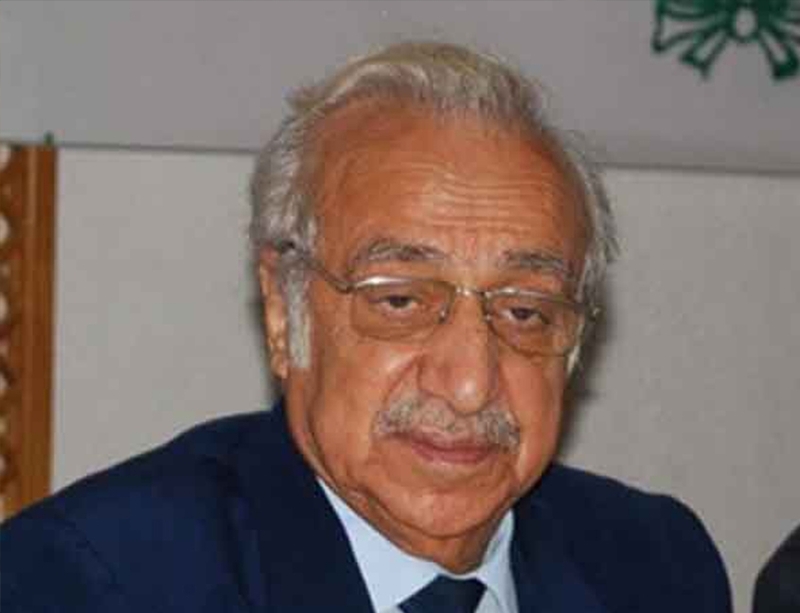 He has authored a series of memoirs and books about his long career in diplomacy, international justice, tourism, and politics, including a celebrated biography of President Quwatli. He holds the Order of Merit, Excellence Class, from Syria, Egypt, and France. Considered one of the most highly-acclaimed and distinguished Syrians in the Diaspora, Aziz al-Azmeh was born into a prominent Damascene family of scholars and politicians in 1947. He studied Oriental Studies at St Anthony’s College at the University of Oxford, supervised by the legendary Arab scholar Albert Hourani. Over a life-long career in academia, Aziz al-Azmeh has become an international icon scholar in Arab and Islamic studies, both medieval and modern, and has taught at a wide assortment of top international schools like Yale, Colombia, Georgetown, Exeter, Cornell, Oxford, and the American University of Beirut (AUB). He serves on the editorial board of several academic journals, including the Journal of Arab and Islamic Studies. 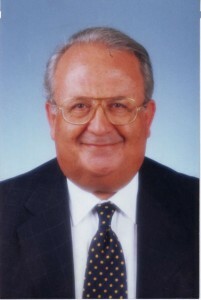 He has been a Fellow of, among other institutions, the Institutes for Advanced Study in Berlin, Uppsala and Budapest, Directeur de Recherches Associé at the Maison des Sciences de l’Homme, Paris and a resident scholar at the Rockefeller Foundation Study Center in Bellagio.He has served and still serves on the boards of academic and international institutions. He holds the Order of Merit, Excellence Class, from Tunisia. He currently teaches at the Department of History and is Director for Religious Studies at the Central European University in Budapest. Aziz al-Azmeh’s research and publications have spanned both the classical and the modern Arab World. Among his books are: Secularism (in Arabic 2008), Islams and Modernities (1993), Muslim Kingship: Power and the Sacred in Muslim, Christian, and Pagan Polities (1997), Constantine Zureik (in Arabic, 2003), L’Obscurantisme postmoderne et la question musulmane (2004), and The Emergence of Islam in Late Antiquity (2014). His latest book is Syria and the Fundamentalist Surge (in Arabic, 2015). He made available for edition and publication his great-grandfather Aziz Al-Azmeh’s Mirror of Damascus, and selections from his grandfather’s and great uncle’s private papers, Nabih and Adel al-Azmeh, edited by Palestinian scholar Khairiyyeh Qasimiyyeh and published as The First Arab Generation. A social and literary phenomenon for over sixty years, Colette Khoury is one of the most prominent Arab novelists of the twentieth century. Born into a powerful political family in Damascus in 1937 she was greatly influenced by her father, the Damascus parliamentarian and cabinet minister Suheil al-Khoury, her uncle Habib Kahaleh, publisher of the mass circulation satire magazine Al-Mudhik Al-Mubki, and her grandfather, the legendary Fares al-Khoury, one of the fathers of the Syrian nation who fought the Ottomans and the French, serving as speaker of parliament and prime minister in the 1940s and 1950s. Colette Khury studied French literature at Damascus University and at the Jesuit University in Beirut. She spent her teenage years with her grandfather, traveling with him to Egypt to meet President Gamal Abdul Nasser and growing up surrounding paternally by towering figures like President Shukri al-Quwatli, and Prime Ministers Khaled al-Azm and Lutfi al-Haffar. At the tender age of twenty, Khoury published her first collection of poetry in French, Vingt Ans (Twenty Years). Two years later came her classic work, Ayyamun Ma’ahu (Days with Him), which became an overnight bestseller and has since been translated into numerous languages. During the early 1960s, Khoury wrote for her uncle’s political weekly al-Mudhik al-Mubki and devoted her time to literature and briefly, to teaching at Damascus University. In the early 1980s, Khoury began collecting and publishing her grandfather’s memoirs, penning the classic, Awrak Fares al-Khoury (The Papers of Fares al-Khury). The first volume was published in 1989 and the third was released in early 2016. They became one of the pillars of Syrian history books on the pre-Baath Syria. Her other works are well-read all over the Arab world and are particularly popular in Damascus. They include Al-Marhala al-Murra (The Bitter Period), published in 1969, Wa Marr Sayf (And a Summer Passed), published in 1975, and Ma’ak Ala Hamish Riwayati (With You on the Margins of My Novels), published in 1986. In 1979, Khoury published another classic, Ayyam Ma Al-Ayyam (Days with the Days). Two of Khury’s other classics are Da’wa Ila al-Qunaitra (Invitation to Qunaitra), written after the Israeli occupation of the Golan Heights in the Arab-Israeli War of 1967, and Dimashq Bayti al-Kabir (Damascus Is My Big Home), published in 1969. 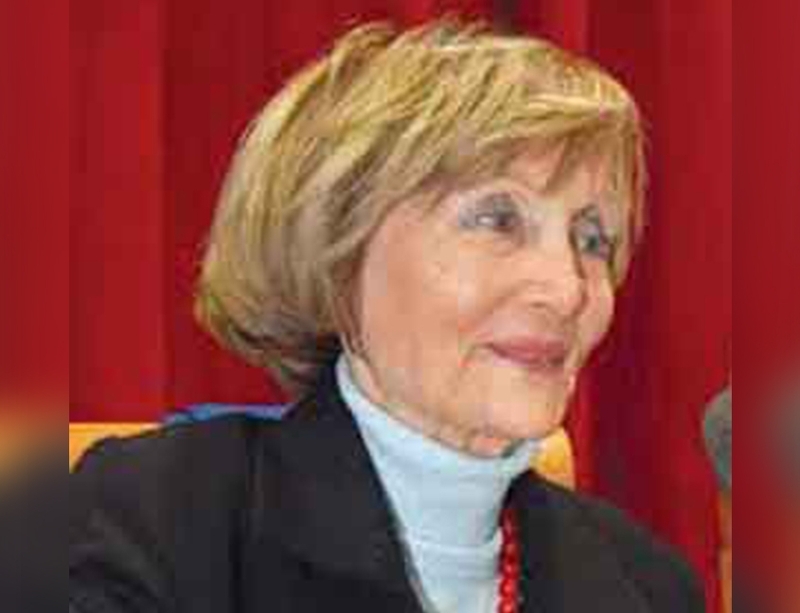 One of her novels, Al-Ayyam al-Mudi’a (Bright Days), which recounted the Arab-Israeli War of 1973, became mandatory reading material for eleventh grade students in Syrian high schools. From 1990 to 1995, Khury served as an independent deputy for Damascus in parliament. Father Elias Zahlawi is renowned in Syria for his open mind and activism for inter-religious dialogue. Born in Damascus in 1932, he attended schools in Syria, Palestine, and Lebanon. 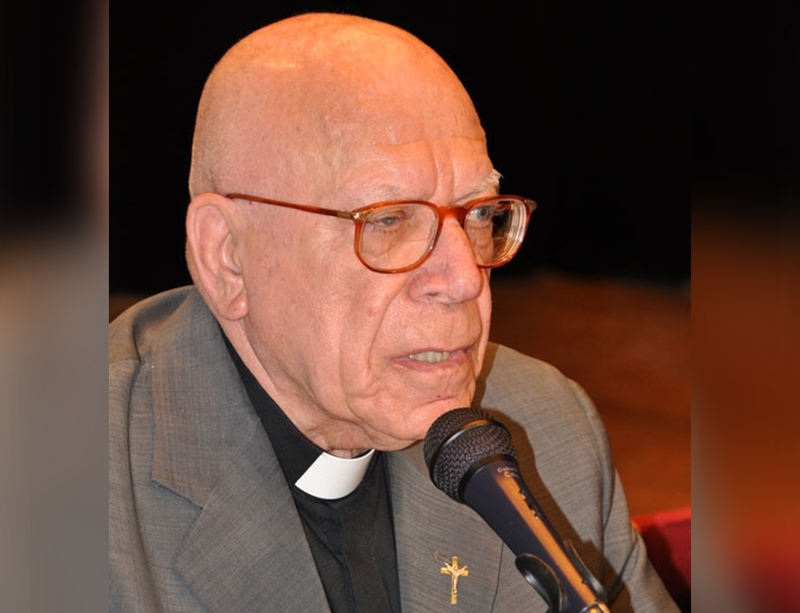 Father Zahlawi studied philosophy and theology in Jerusalem and France, before returning to Damascus in 1959 to be ordained as a priest of the Melkite Greek Catholic Church. Since 1962, Father Zahlawi served as head of the Patriarchal Choir, and as a mentor for Christian youth. From 1973 until 1979, he taught translation and Latin at the Damascus University, and in 1973, he became a member of the Arab Writers Union. In 1977, Father Zahlawi established the Farah Choir, and three years later he established the “Fursan al-Mahaba” scout troop. Both organizations are still very active in Syrian society today. 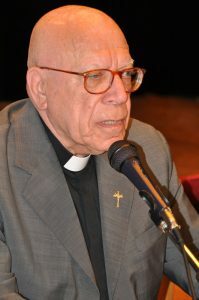 When the Second Palestinian Intifada erupted in 2000, he became an executive board member of the “committee to support the Intifada and resist the Zionist project.” Father Zahlawi is a prolific author who wrote extensively on Christian and Arab affairs, especially the Palestinian question. 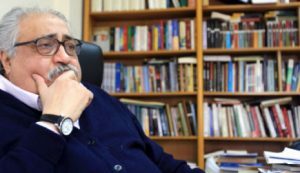 Hailing from a prominent middle-class family of scholars and scientists, Mohammad Eyad al-Chatti is a prominent doctor and Syria’s long-serving Minister of Health. His father, Ahmad Shawkat al-Chatti, was a pioneer doctor and one of the co-founders of Faculty of Medicine at Damascus University. Dr. Chatti was born in Damascus in 1940 and studied medicine at its university and Case Western Reserve University in Cleveland, Ohio, graduating in 1969. 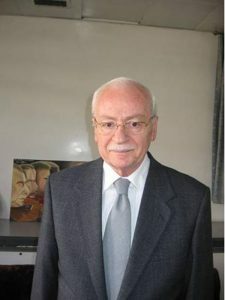 He taught at the American University of Beirut (AUB) from 1971 to 1978, and then moved back to Syria to practice and teach medicine at Damascus University. In 1986, Dr. Chatti became dean of the Medical School in Damascus, sixty years after his father had assumed the same job at the prestigious Damascus University. In 1987, President Hafez al-Asad appointed him minister of health, a post he kept until 2003. During his tenure, Chatti upgraded and modernized the Syrian pharmaceutical industry and opened many state-of-the art hospitals and clinics, especially in rural Syria, eradicating several epidemics and diseases. In 1990, Chatti assumed presidency of the Regional Office at the World Health Organization (WHO) in Geneva, becoming the first Arab to attain such a senior position in the international organization. As of mid-2016, he still practices medicine at his pathology clinic in the Syrian capital and teaches at Damascus University. Dr Eyad al-Chatti is currently President of the Board of Trustees at the University of Kalamoon in Deir Atiyya, Syria. 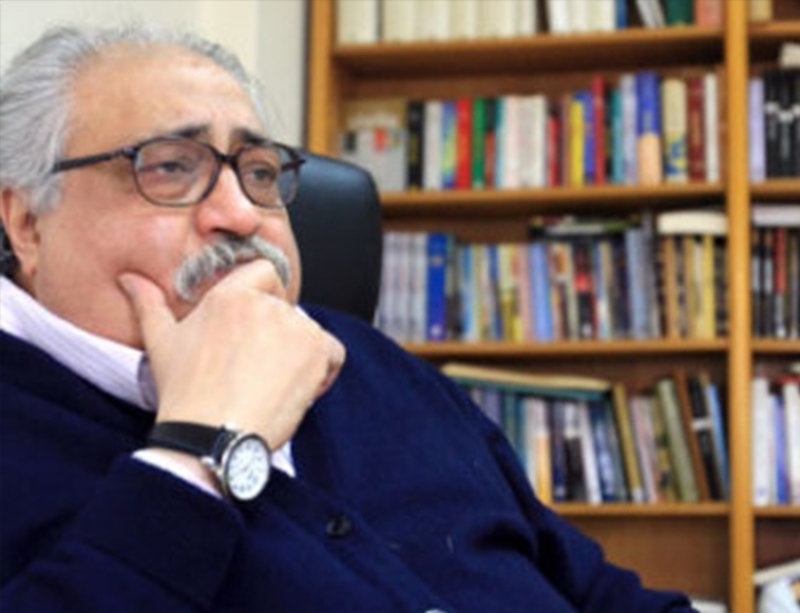 A celebrated physician and man of letters, Marwan Mahasni is the current president of the Arab Language Assembly, the highest international scientific authority in the field of Arabic language. 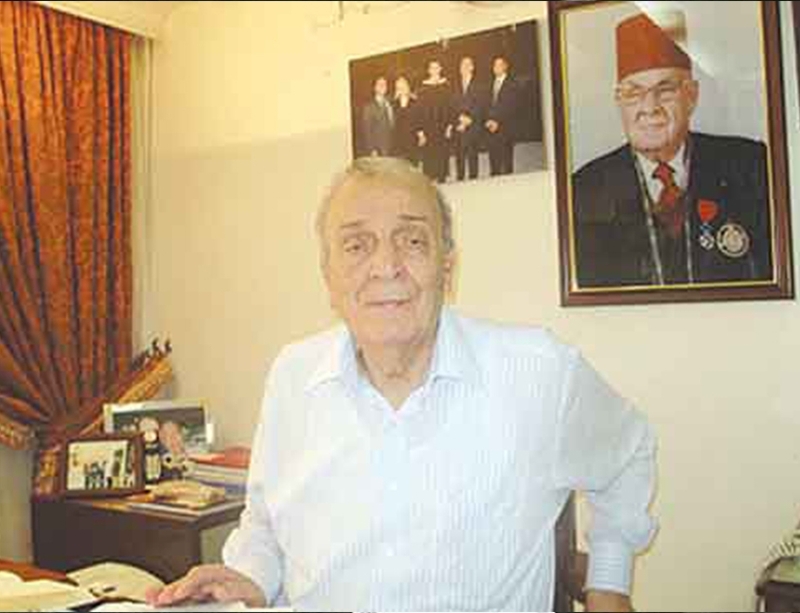 Born in Damascus in 1926, Dr Mahasni studied medicine at Damascus University, obtaining his PhD in 1952. He also studied surgery in Paris and Arabic literature in Damascus, and was one of the founders of the Higher Syrian Scientific Council in 1959. Between the years 1955-1975, he taught at Damascus University and in 1974, became director of the Surgery Department at the Faculty of Medicine. He then went Saudi Arabia to teach and chair the Surgery Department at King Abdul-Aziz University in Jeddah, a job he kept from 1980 to 1991, after which he joined the University Hospital to chair the Department of Medical Education. Dr Mahasni joined the Arab Language Assembly in 1979 and served as its vice-president in 2005-2008 before becoming president in 2008. 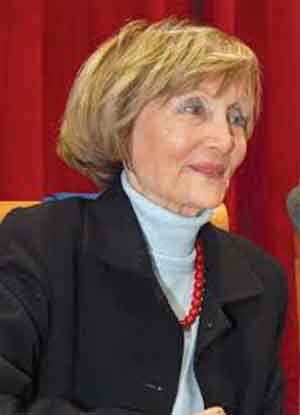 A ranking writer, attorney, and pioneer of Syrian Television, Nadia al-Ghazzi was born in Damascus in 1935. 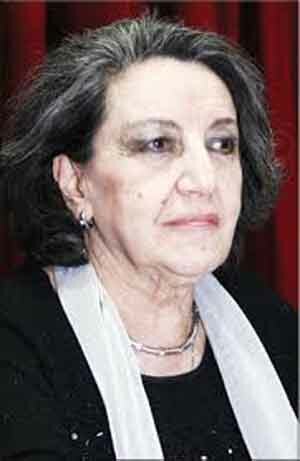 The daughter of two-time Prime Minister Said al-Ghazzi, a celebrated nationalist and one of the founders of the Syrian Republic, she studied law at Damascus University and joined the founders of Syrian Television on its launch during the short-lived Syrian-Egyptian Union in the summer of 1960. Ghazzi was among the first women faces on the Syrian screen, helping emancipate Damascene woman from their male-dominated society, editing and presenting her family program “Al-Bayt al-Said.” A popular children’s show followed in 1973-1975, while two television dramas carried her signature in 1982 and 2004. Between the years 1975-79 she hosted three family-oriented talk-shows on Damascus Radio. Nadia al-Ghazzi turned to literature in the early 1980s, writing two stories inspired by Syrian courts, and penned her classic From the Orchards of Bilad al-Cham in 1993. A four-volume encyclopaedia of Arabian nutrition came next in 2001. In 2009 she wrote Damascus: A Place and its Residents. Her works have covered a wide variety of topics, like Earnings and Oriental Jewellery and Medicine and Ornaments in the East, both published in 2011. Collectively she has written twenty books and continues to write and publish in Damascus. Ghazzi has received numerous awards for her prolific career, and lectured in Latakia, Aleppo, and Damascus. 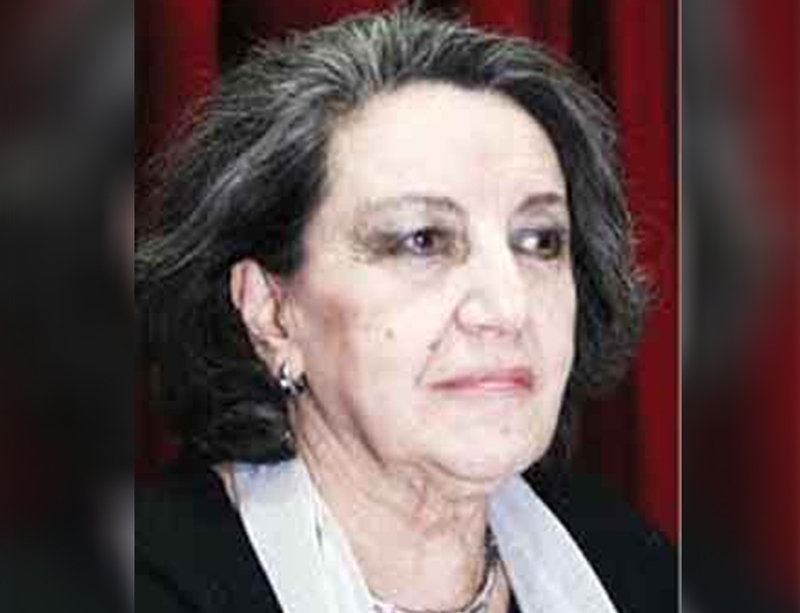 She was a board member of The Damascus Friends Society and a member of the Higher Committee that steered celebrations of Damascus during its tenure as Capital of Arab Culture in 2008. 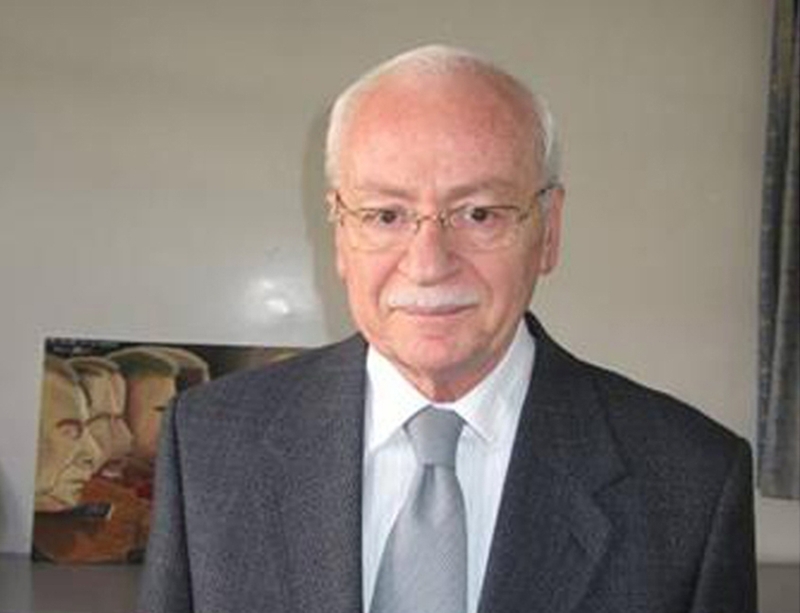 A celebrated medical doctor and ranking expert on the Greek Orthodox community of Damascus, Dr. Nicolas Chahine was born and raised in the Syrian capital in 1942. He grew up under the towering influence of his father Anastas Chahine, a pioneer doctor and professor at Damascus University, who served as Dean of the Faculty of Medicine in 1949. 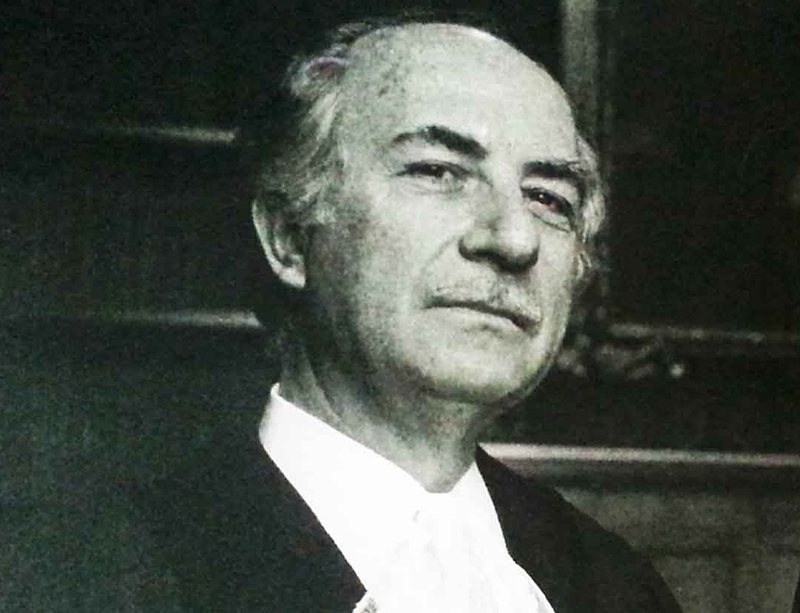 An international heavyweight in otolaryngology and plastic surgery, Dr. Chahine studied at the American University of Beirut (AUB) Faculty of Medicine, graduating in 1969, and did eight years of specialization at the celebrated American University Hospital, and the Manchester Royal Infirmary, L’Insitut G. Portman in Bordeaux, France, and The John Hopkins University in Baltimore. He returned to Damascus in 1973 and joined the Armed Forces as a civil consultant in head and neck surgery, working there for 27-years and teaching several generations of post-graduate students. He retired in 2002 and was awarded the Medal of Education, First Class, from the Syrian Army and the Palmes Academiques, First Class, from the French Ministry of Education. He is co-founder and chair of the Medico-Surgical Hospital on Baghdad Street in Damascus and attends to the affairs of his Greek Orthodox Church in the Old City. Dr Chahine has written a to-be-published six-volume memoir, and several peer-reviewed articles in medical journals. 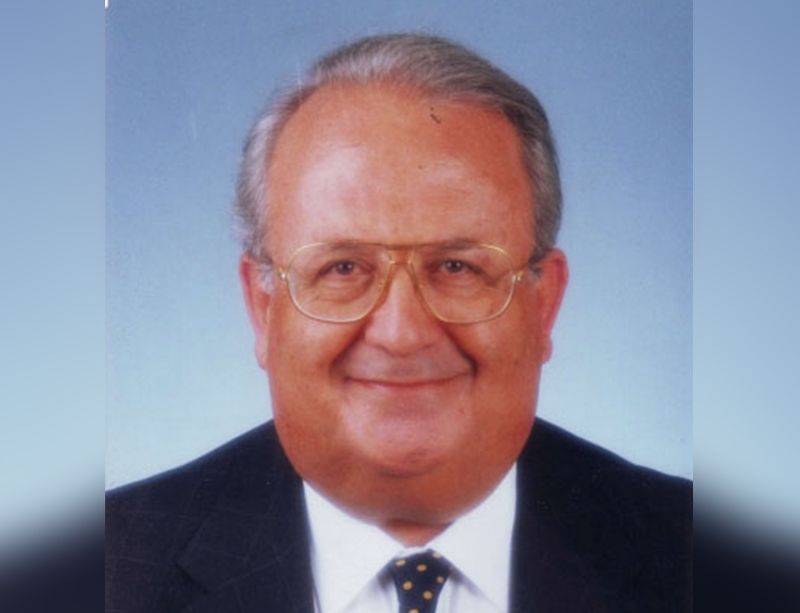 Since 1988 he has served as a member of the Board of Trustees at the University of Balamand in Lebanon. Osman Aidi was born in the magnificent Souq Saruja neighbourhood of Damascus, just outside the walled old city, in 1932. His father, Ahmad Munif Aidi, was early educator and one of the founders of Damascus University who established a pioneer modern school in the Brurieh Market. Dr. Aidi studied hydraulic engineering at the Polytechnics Institute of Grenoble and obtained his PhD from the Academy of Paris in December 1955. He returned to Damascus and worked with future-President Nazem al-Qudsi on founding the Arab World Bank in 1959. 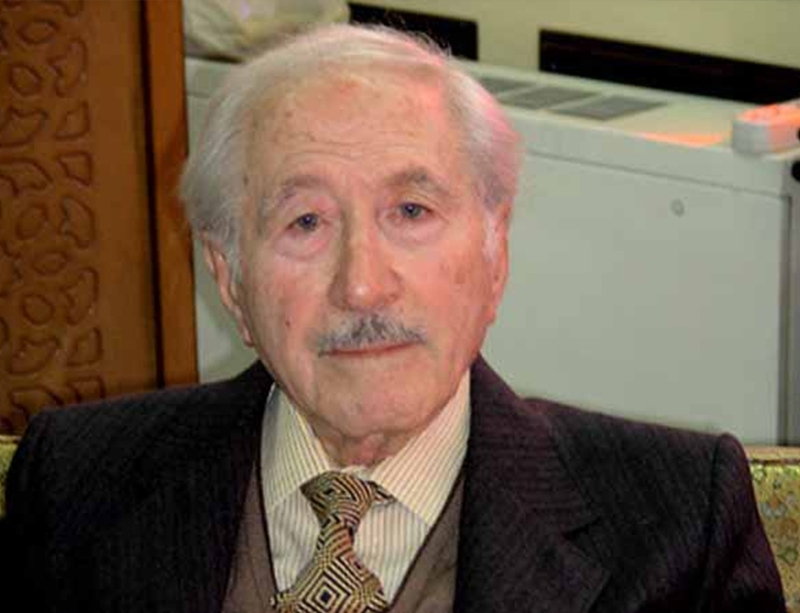 Dr. Aidi also taught at Damascus University and Aleppo University until 1966. Dr. Aidi was founder and Board Member at the Banque de la Mediterranee in Beirut and helped set-up its Parisian branch in 1976. Until present he is a World Bank advisor on the MENA region. His most lasting contribution to Syrian society is the Cham Palace chain of hotels. Created as a joint investment by the private and public sector, Cham Palace Hotels started with a 15-floor 5-star hotel in Damascus in April 1973. Others followed in the port city of Latakia in 1987; Safita in 1988, Aleppo, Deir ez-Zour and Palmyra in 1989; Hama and the Houran province in 1990. Additionally, Osman Aidi owns and manages the luxury Royal Monceau in Paris, The Plaza Hotel in the US, and Amman al-Cham in the Jordanian capital. He is president of the Inter-Arab Union for Hotels and Tourism since 1993 and the Euro-Mediteranean Tourism Organization (EMTO) since 1996. He is also honorary Lifetime President of the Lausanne-based International Hotels & Restaurants Association. In 1988, Dr Aidi founded the Osman Aidi Foundation for the Preservation of Heritage, restoring columns in the ancient city of Apamea on the right bank of the Orontes River, also rebuilding its old markets. He is also on the Board of Trustees of the American University of Beirut (AUB) and the University of Balamand near Tripoli in northern Lebanon and holds the highest honours of the Syrian, Lebanese, and French Republics, Excellence Class. Universally hailed as “godfather” of the Damascus business community, Rateb al-Challah was born and raised in Damascus in 1932. He is the son of Hajj Badereddine, a celebrated business leader, philanthropist, and long-term president of the Damascus Chamber of Commerce (DCC). Rateb al-Challah studied at Oxford University in the UK and obtained his PhD in banking and finance from the United States in 1961. Due to economic and political upheaval in Syria, Challah returned to Lebanon, teaching at the American University of Beirut (AUB) and working at the Beirut Stock Exchange during the “golden years” of Lebanon. He moved back to his native Damascus and took over the family’s manufacturing business of dried apricots, exporting wheat to Sudan and all kinds of nuts to Turkey, Spain, and India, eventually replacing his father as president of the DCC in 1996. He has served at the frontline of the Syrian economy for the past 30-years, as Honorary President and Chairman of the Syrian Enterprise and Business Centre (SEBC), Founding Chairman of the Damascus Stock Exchange (DSE), Founding Chairman of the Bank of Syria & Overseas (BSO), and President of the Syrian Federation of Chambers of Commerce. Dr. Challah was in-charge of setting up private banks and business councils during the years 2005-2010 and negotiating the Syrian-EU Partnership Agreement. 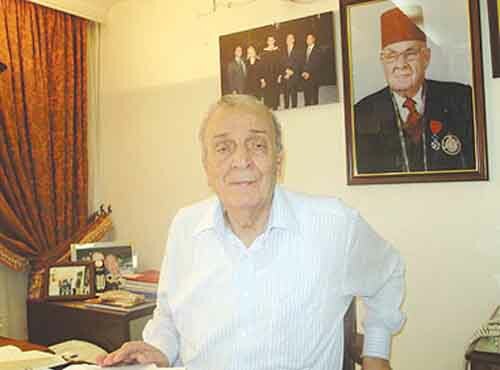 Riad El-Rayyes was born in Damascus in 1937 and raised under the towering influence of his father Najib, a pioneer journalist who owned and ran the mass circulation Damascus daily al-Qabas. It was the outlet of the Syrian national movement during the long years of French rule. He studied at Brummanah High School in Lebanon and obtained his university degree in economics from the University of London. 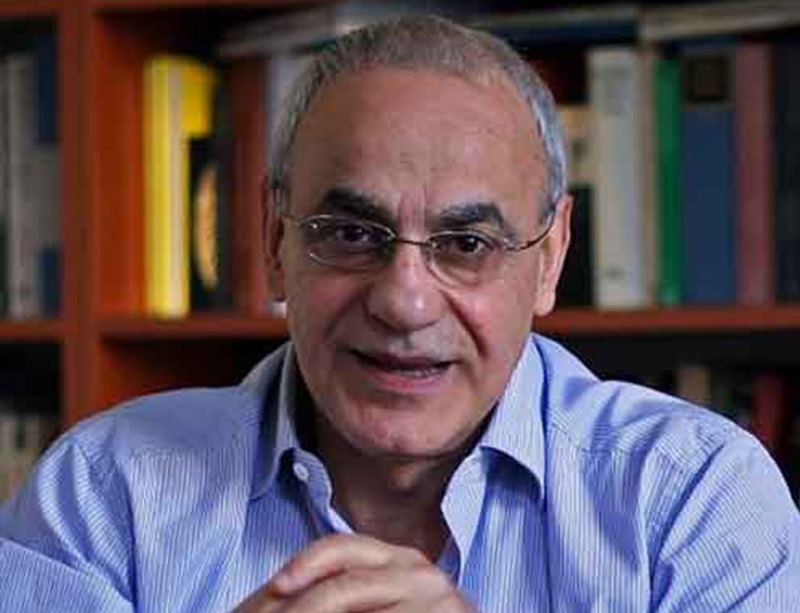 Riad El-Rayyes began his journalism career with the Beirut-based al-Anwar. run by a friend of his father, and then moved to al-Muharrir. In 1964, Rayyes began to write for The Sunday Times, Western Mail, and the Beirut dailies al-Hayat and Annahar. In 1966, Annahar’s publisher Ghassan Tweini dispatched Rayyes to Yemen to cover the Civil War, where he remained for three years. In 1976, Rayyesfounded the weekly al-Manar in London, the first Arab weekly published in Europe. In 1979, Rayyes began to write for the Paris-based al-MustaqbalMagazine, run by the celebrated Lebanese journalist Nabil Khoury. He remained with al-Mustaqbal until 1988. 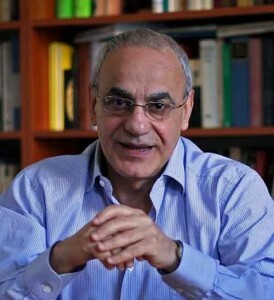 In 1986, Rayyes founded his own London-based publishing house, Riad Najib El-Rayyes, quickly becoming the most reputed Arab publisher on Middle East affairs. It took credit for publishing the memoirs of prominent Syrian figures like Nasuh Babil, publisher of the Damascus daily al-Ayyam, Prime Ministers Lutfi al-Haffar and Bashir al-Azmeh, celebrated novelist Abdulsalam al-Ujayli, and the nationalist brothers, Nabih and Adel al-Azmeh. While publishing books in London, Rayyes founded a weekly magazine called al-Naqid, which remained in print from 1988 to 1995. It was re-launched from Beirut in revised form with the title al-Nuqqad in 2000. In 1989, Riad El-Rayyesfounded an Arabic bookstore in London, located in Knightsbridge, called al-Kashkoul. When the civil war ended in Lebanon he moved Riad Najib El-Rayyes to Beirut and briefly toyed with the idea of re-launching his father’s daily al-Qabas in Damascus, after forty years of its initial closure, but the project never materialized. He is the author of numerous books on Arab politics, including his classics: Jawasees al-Arab (Arab Spies), Al-Khaleej al-Arabi wa Riyah al-Tagheer (The Arab Gulf and the Winds of Change), and Aktub Ilaykum Bi Ghadab: Kayf Nakul La fi Asr Na’m (I Write to You in Fury: How to Say No in the Era of Yes), published in 1996.